The x-small LiteDome Q39 is lightweight and portable, giving you studio-quality lighting wherever you need it. Soften the light output of your on-camera or hand-held flash. 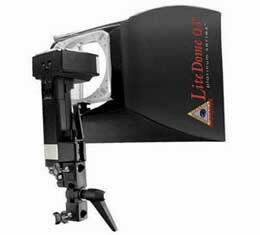 Accessory hardware is available for using shoe-mount or hand-held flashes on a camera bracket.